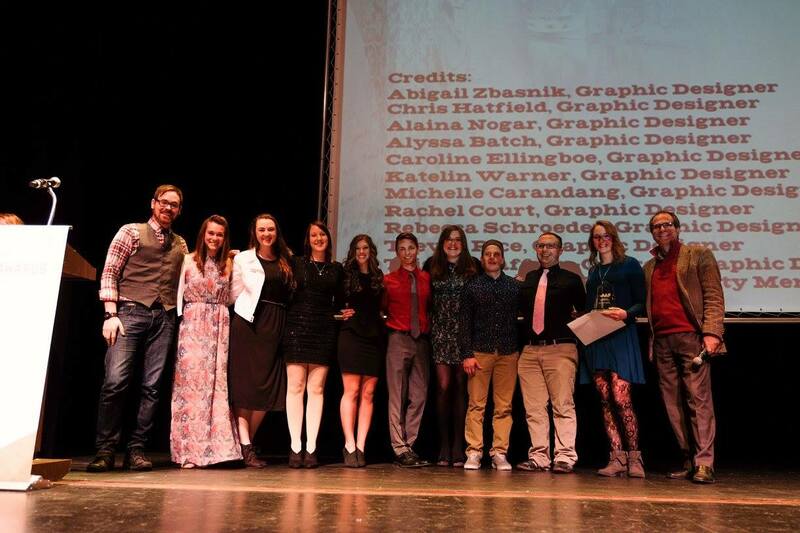 Amy Fidler’s ARTD 3040 / Three Dimensional Design class from Spring 2015 won a Gold Award in the student category!! 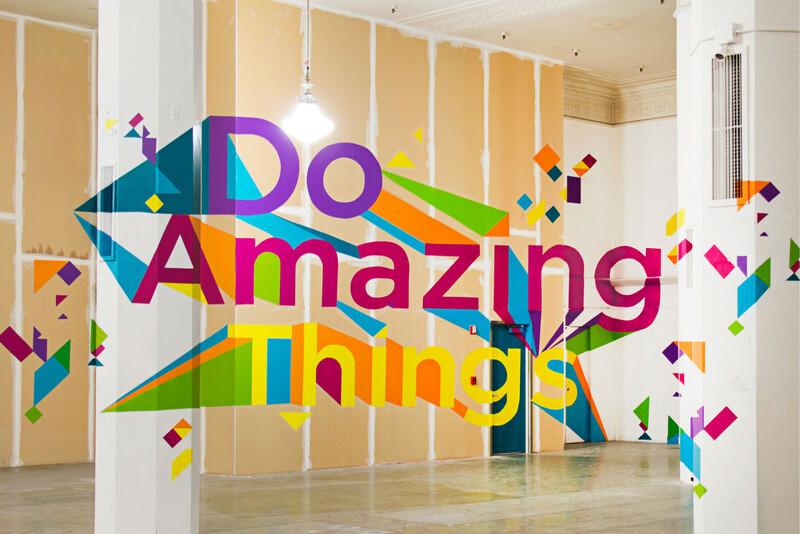 These students worked countless hours, even into the wee hours, to complete a massive wall mural titled: Do Amazing Things, designed by Abigail Zbasnik, for The Arts Commission’s Artomatic419 last April! This mural was made possible through underwriting by AIGA Toledo. 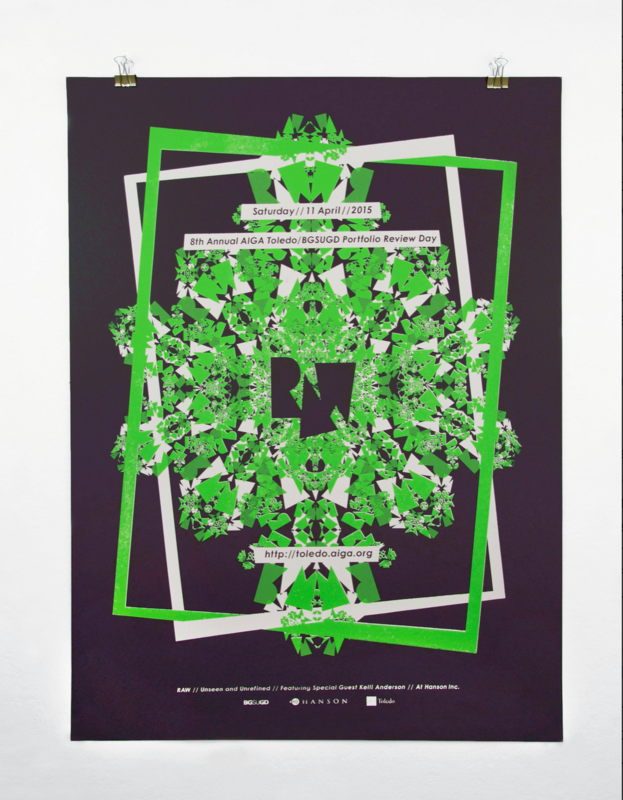 Alaina Nogar won a Bronze Addy award for her poster design for Raw: 8th Annual AIGA Toledo / BGSUGD Portfolio Review Day. Alaina designed and silkscreened 125 posters, as well as created additional branding items like way finding signage, conference name badges, notebooks, and postcards. This poster was completed through an Independent Study in Graphic Design with Jenn Stucker last Spring, ARTD4700. 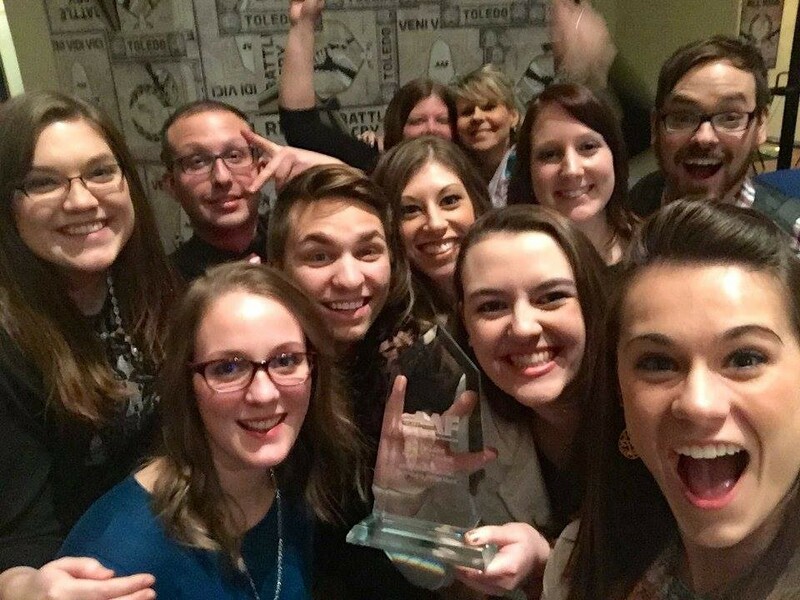 Chris Hatfield won a Silver Addy award for his Hearth Healthcare Concept Promo Video. This work was an idea for improving patient care that connected doctors, case workers, nurses and necessary office personnel by developing a hypothetical interface to provide unified patient care understanding. Chris’ project was done for an assignment in Jenn’s ARTD4030 / System Based Design class that specifically aimed at patient care systems. Lastly, Jenn Stucker, also won a Silver Addy for her brochure design for The Arts Commission. 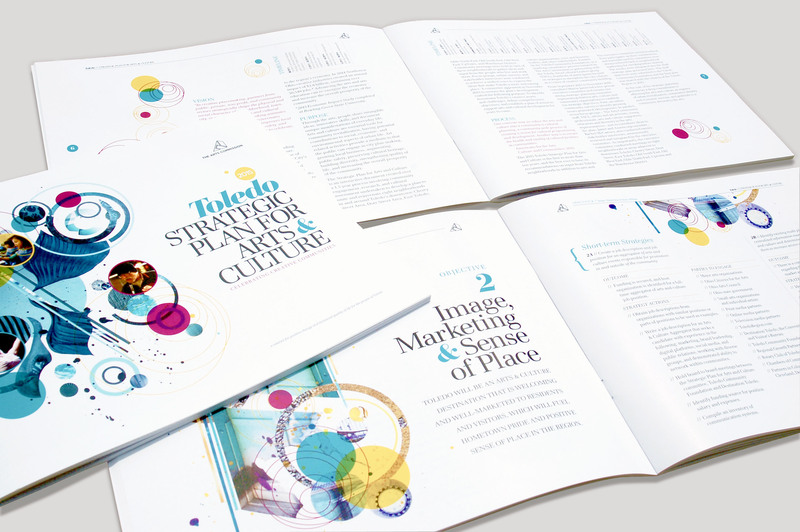 The Toledo Strategic Plan for Arts & Culture, was a 64-page brochure for which she created the design, layout and made 11 handmade collages. Other elements included a postcard, 12 page executive summary and an interactive PDF.